Inside and out this wooden dome, designed by Danish architect Kristoffer Tejlgaard and engineer Henrik Almegaard, looks great. 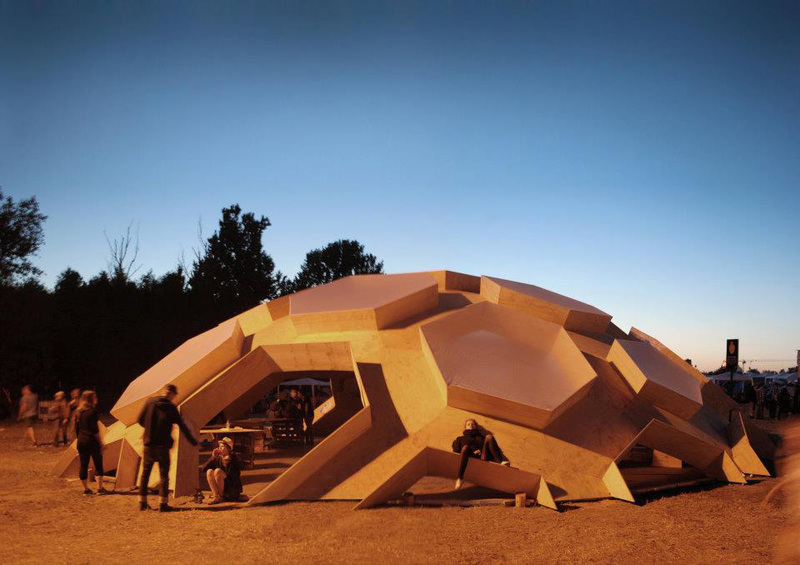 Made up of 240 plywood hexagons, this geodesic dome was created for the 2011 Roskilde Festival in Denmark and disassembles into sections. 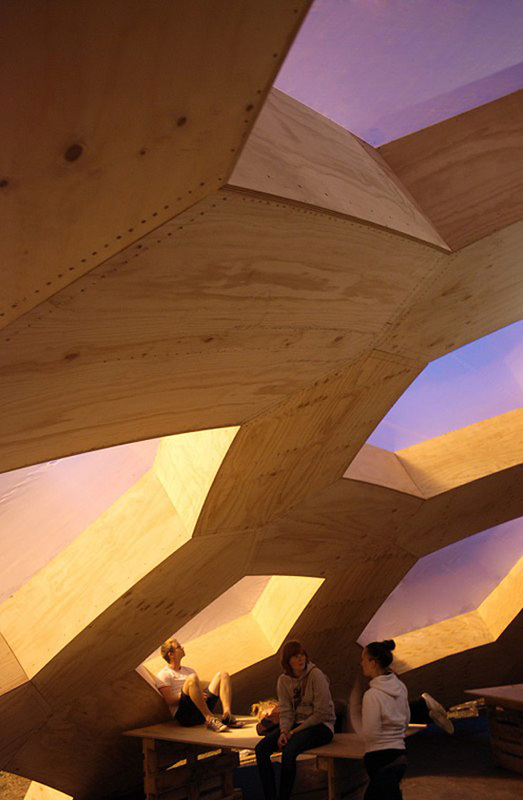 The futuristic shape, as well as those skylights that jut out and add texture, give the structure a very cool look. You can watch a video of its construction here.